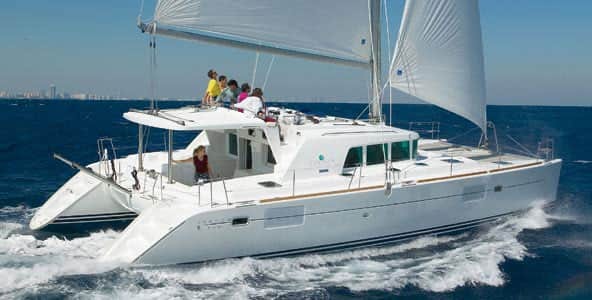 The Beneteau 352 offers stability and simple operation under power and sail, making her a great introduction to yachting. 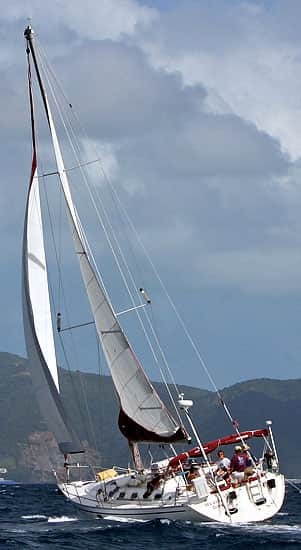 Though easy to sail with a crew or single-handed, she offers the style and speed to please demanding mariners. 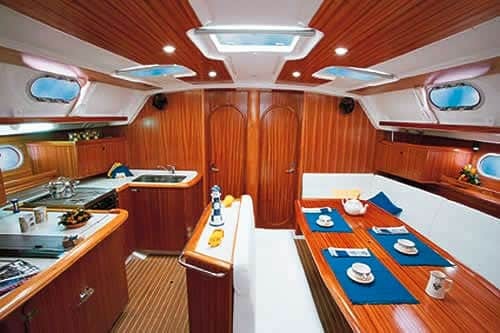 The accommodating interior features plenty of headroom and attractive woodwork. 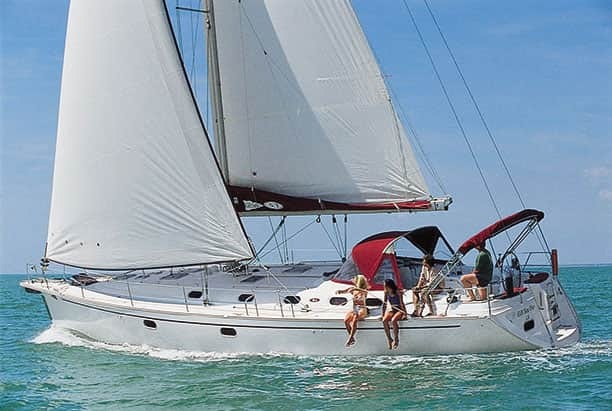 Designed by Berret/ Racoupeau Yacht Design and based on the popular Beneteau 473, the 393 is manufactured in Beneteau’s South Carolina facility. 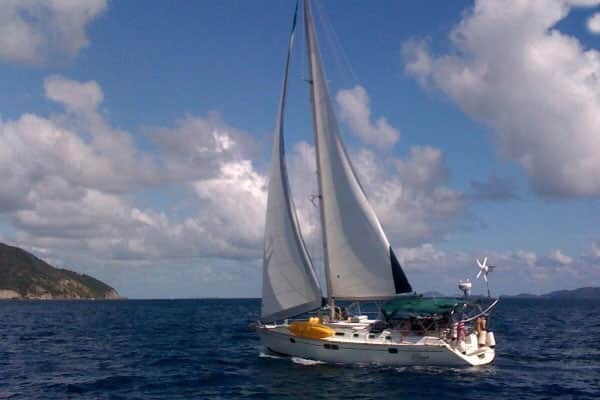 Quick in light winds, yet easy to handle, she’s a fine live-aboard classroom for new sailors. 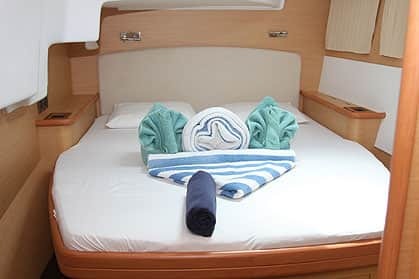 More experienced cruisers will appreciate the smart use of space and easy engine access. 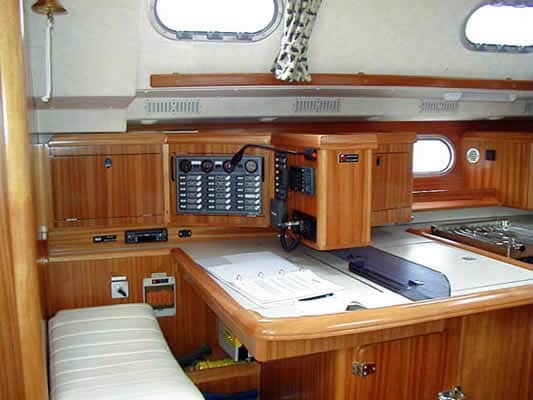 An excellent all-around cruising yacht, the Dufour Gib’Sea 43 is built to combine comfort with performance. 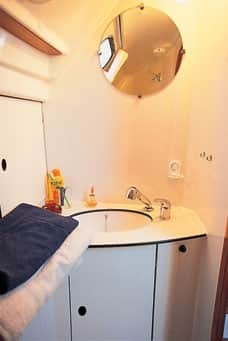 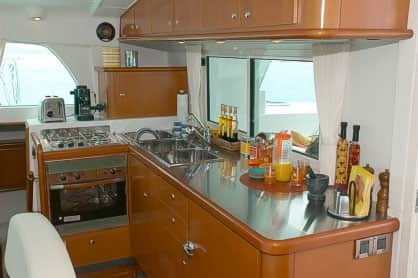 There’s ample space and headroom in the well-lit areas below deck, and access to the ship’s mechanical and electrical systems is easy and well-defined. 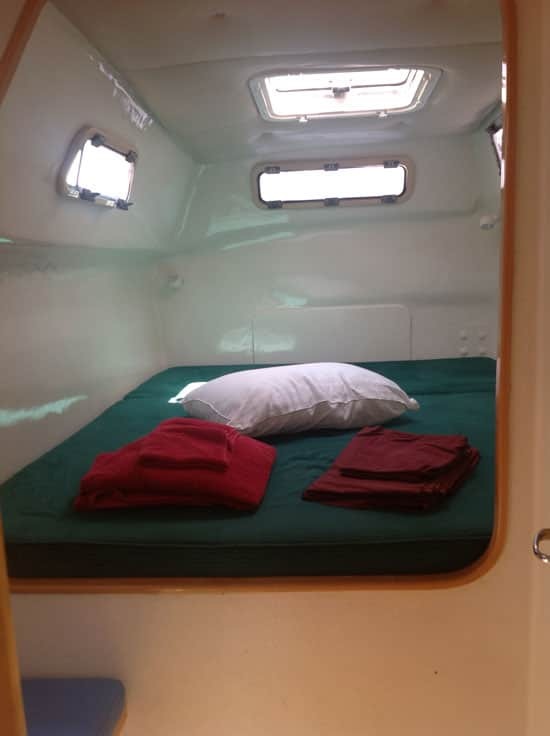 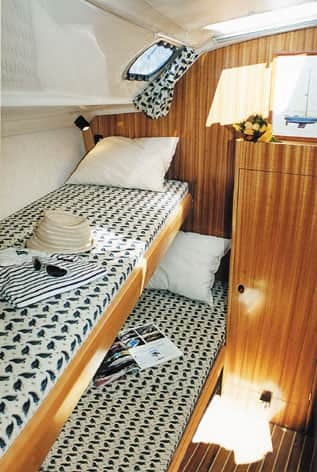 Three double cabins and one with bunks provide accommodations for a crew of five. 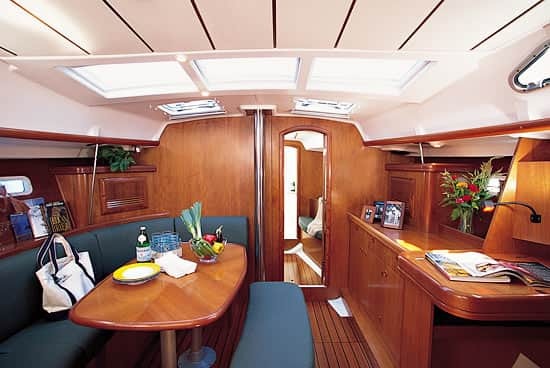 The Gib’Sea 43 received one of Cruising World magazine’s Boat of the Year awards in 2001. 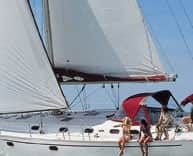 Her flexibility and balanced nature make an excellent fit for both beginning and experienced cruisers. 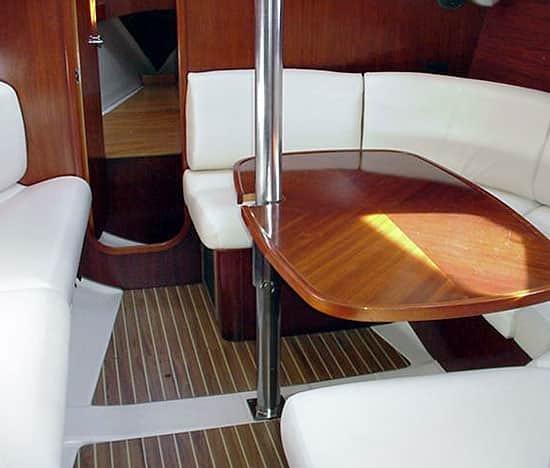 The Farr designed Oceanis 440 is an impressive boat that will luxuriously take you to the destination of your choice. 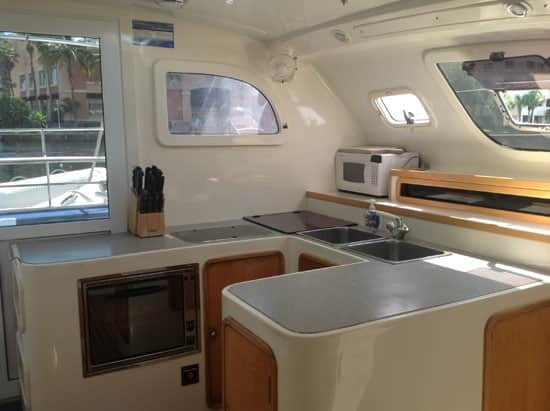 Her sleek lines and lavish interior are sure to please even the most particular taste. 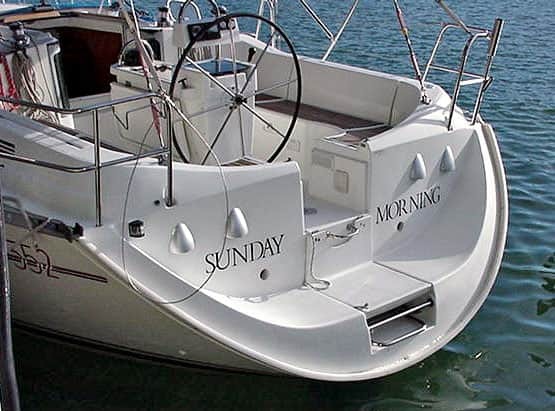 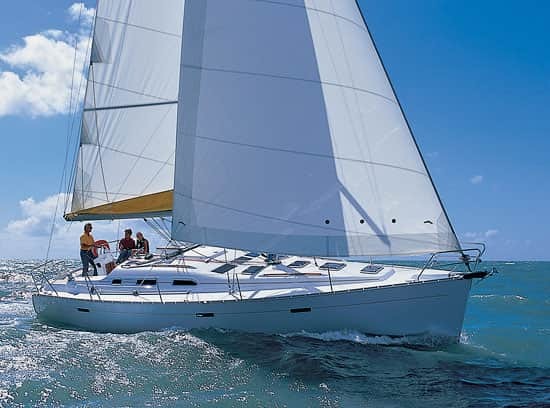 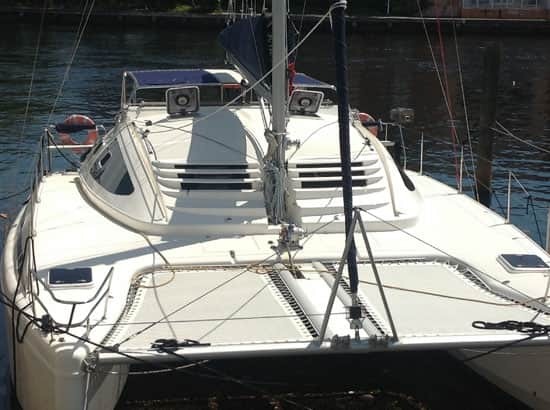 This vessel combines the ease and safety of sailing with great performance and comfort. 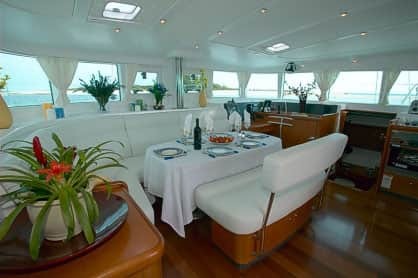 The same spacious interior that makes the Gib’Sea 51 popular with charter companies also provides a good teaching environment. 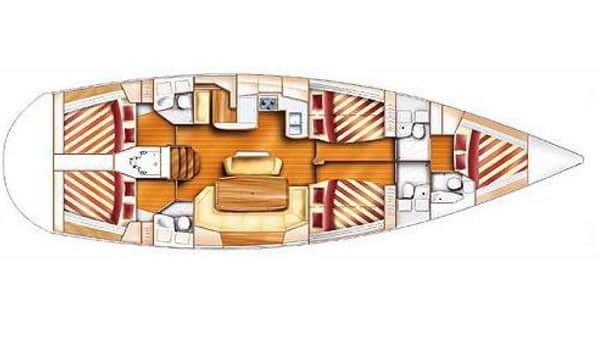 With three double cabins, two more doubles that convert into bunks, and five heads this yacht has enough room to serve our larger classes without feeling cramped. 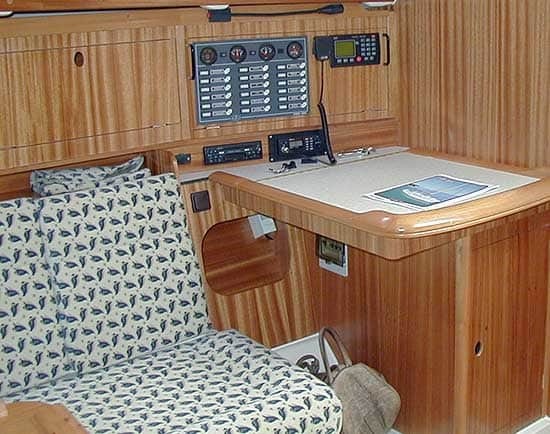 The Island Spirit 37 is rugged, fast and remarkably spacious. 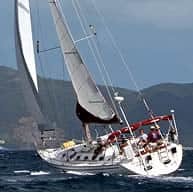 The ample sail area gives her a good turn of speed while the careful arrangement of deck gear makes sail handling a pleasure. 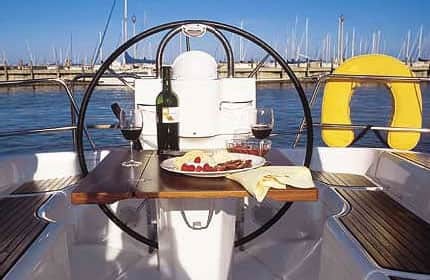 All controls are close to the wheel and the steering is light and responsive. 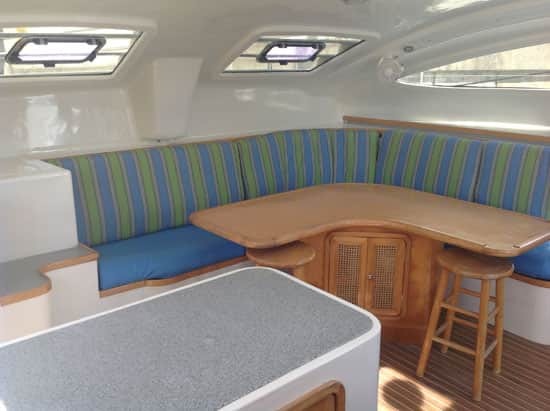 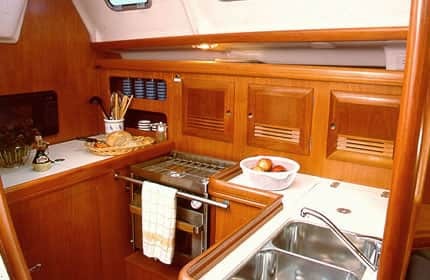 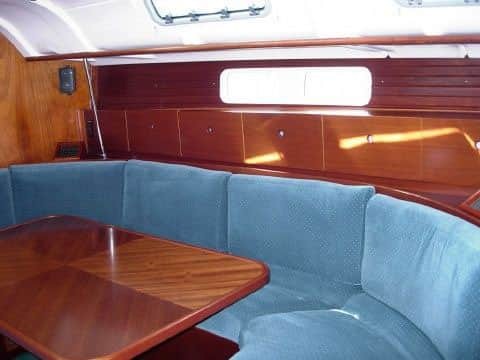 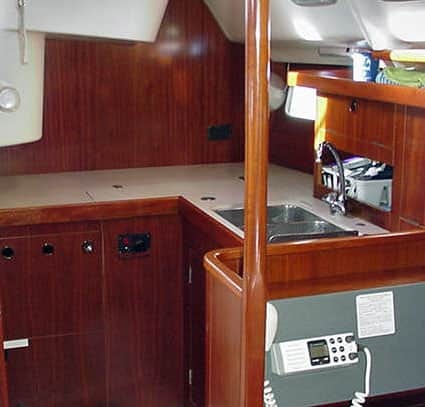 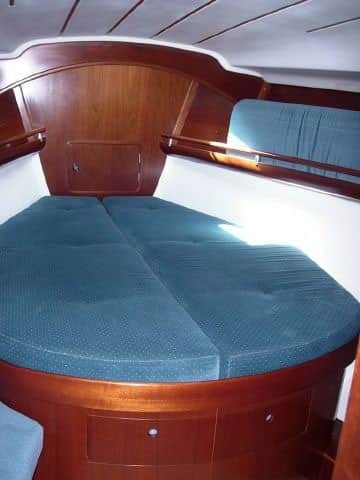 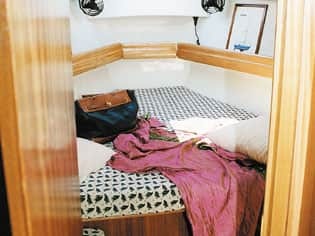 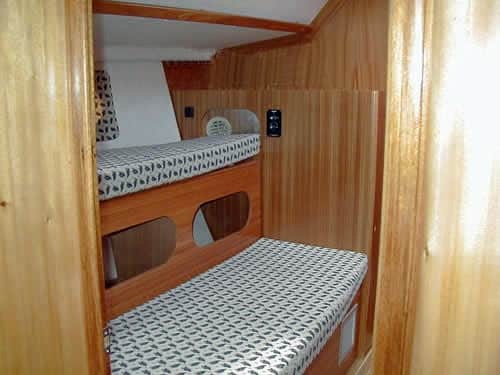 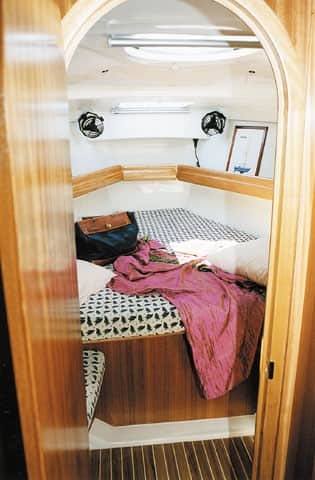 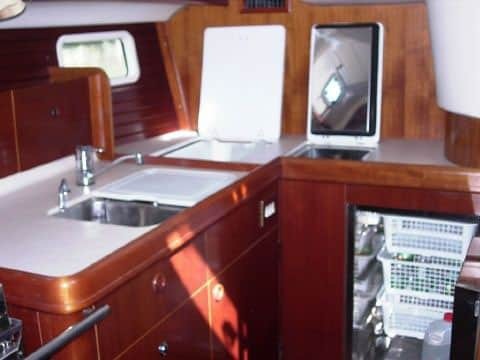 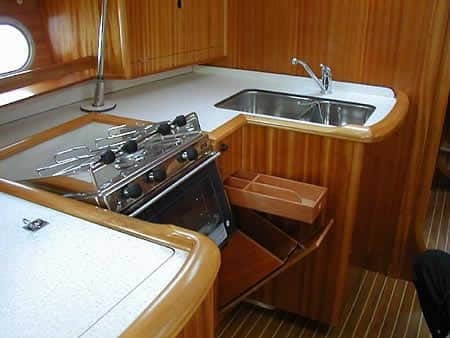 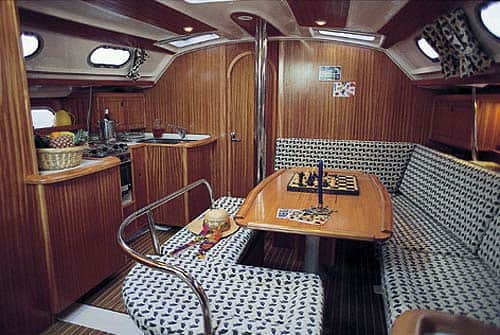 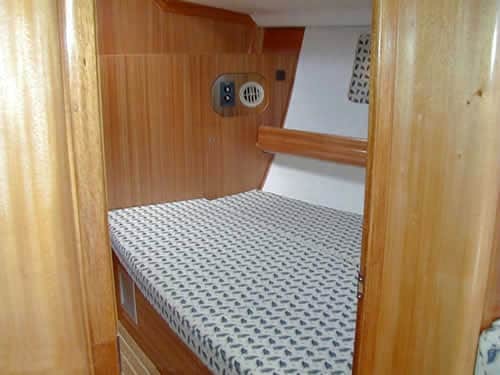 Deck layout features a uniquely easy access off the transom "sugar scoops" straight into the roomy cockpit, uncluttered decks, wide anti-skid steps up at the mast, and walk-up louvered front windows. 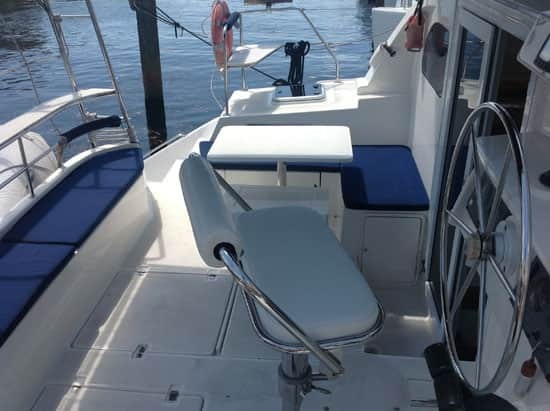 About Time is the main boat used for our cruising catamaran courses at the Fort Lauderdale base and the only catamaran at our Bahamas base. 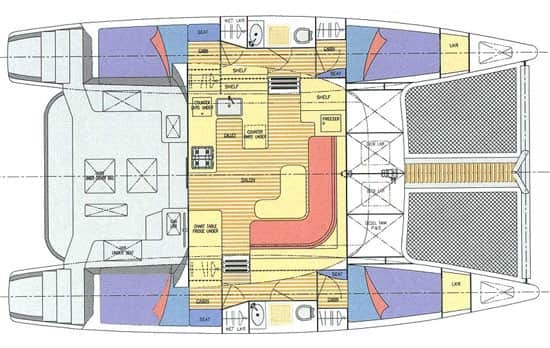 Naval architects Marc Van Peteghem and Vincent Lauriot Prevost based their design of the Lagoon 440 on the latest long-range cruising multihull technological developments. 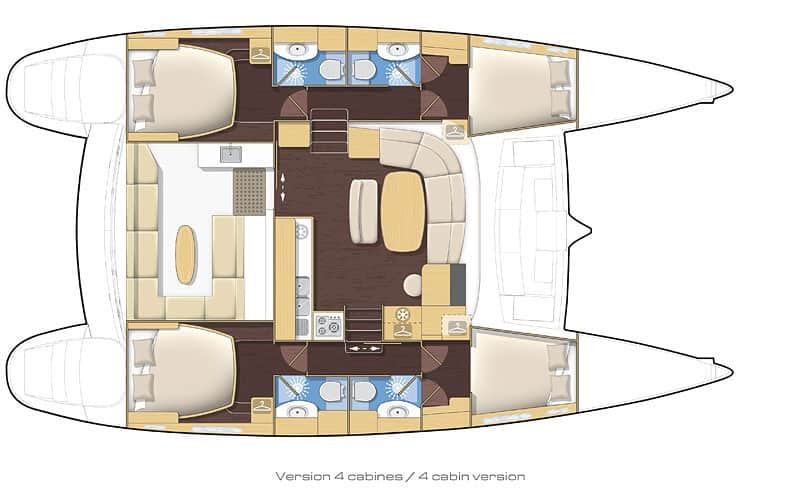 Even at first glance, it is apparent that care has been taken in the aesthetic and functional design of the yacht: on deck, the coachroof lines are long and elegant, the forms are dynamic, spaces are cleverly used, ergonomics are optimal.